It's almost the weekend, do you have plans? how things will pan out! Here's the card I have to share with you today! A friend has just moved in to a new home. He's back to the single life, so I thought this fun image was apt! it's been around in my stash for a while, just waiting for the right moment! In fact everything on this card has been in my stash for quite a while! I used an A6 silver grey card base & embossed with a chevron folder. around the image. I also added a little silver key charm. I kept this card flat so it could easily be posted. but I find if you keep things fairly simple & add a smile, it seems to do the trick. Thanks so much for popping intoday! Dawn, it's a cracker! Love his expression! A great male card and yes, I agree - simple is best for males! Thanks for entering this with us at Unstampabelles for our current challenge. 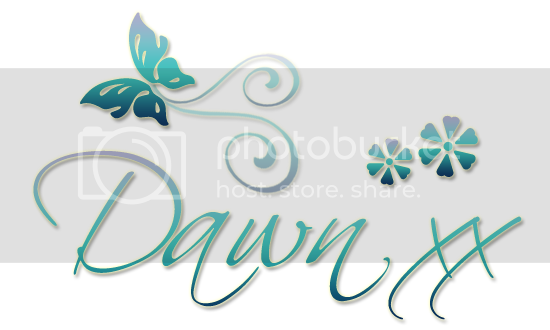 A fabulous card Dawn, such a fun image - a very original New Home card. Great card, love how you added the washi tape. Terrific guy card for our challenge! Thanks so much for playing along at CCCB!!! love the embossed card base. sets it all off perfectly! Great card for a new home and perfect for a man living on his own! Brilliant New Home Card, Dawn, I'm sure she'll love it!! Very fitting for the occasion. Hope he loves it. Very thoughtful. 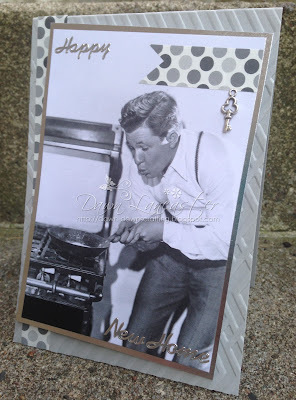 This is a fab masculine card and you nailed our challenge! Thanks so much for joining us at CCCB this week! What a fantastic image! Stunning card. lovely creation. Thanks for joining us over at TPS this week. LOL. This is such a fun card! Fabulous 'man' card, Dawn, and I love the silver gray background! Funny, fun image and perfect for your friend. I'm sure he'll get a tremendous kick out off it. Such a lovely card!! Perfect for the occasion!! Thank you so much for sharing your work with us at the Unstampabelles..
HA! Love that image! I also really like how you've added the washi tape. Thanks for joining us at Shopping Our Stash! He he he I adore that image! Just perfect! Thanks for joining the Shopping Our Stash crew for our "Mirror Mirror" challenge this week! !